In 2011, I went to New Zealand by myself to live and work on a biodynamic winery. As a mid-twenty-something, I was pretty sure this was a great way to find myself and become One with the Universe, but I was wrong. Very wrong. In fact, I was hopelessly lonely, and I racked up a $900 Verizon bill—which I could not afford—by calling my mother every other day in tears. (Pathetic, but also kind of amusing to me now. Character building!) Nevertheless, in spite of myself, I had a lot of cool food experiences while I was there, including eating sun-warmed strawberries straight from the garden, and drinking unfiltered wine for the first time. I also learned one very important thing from the aggressive health-food fanatics with whom I lived: You can put an entire pumpkin in the oven. My Kiwi housemates roasted a whole pumpkin—stem and all—every Sunday, and tossed it into various salads and sandwiches throughout the week. When I got home to the States and began to piece my life back together, I decided to try it for myself. I eventually landed on this soup recipe, which I now make every fall. I like to cook a big batch in October, when it’s easy to find pumpkins at the grocery store, and freeze the leftovers for a lazy mid-winter feast. It’s festive, simple to make, shockingly healthy, and it turns my apartment into an autumnal paradise. Probably didn’t need to move to New Zealand to learn this, but either way, definitely worth it. In case you’ve never cooked a whole pumpkin, here are some purchasing tips: Look for pumpkins labeled “pie pumpkin” or “sugar pie pumpkin,” which you’ll find in the produce section of any old grocery store between the months of October and December. These are different from the big Halloween carving pumpkins, so don’t get one of those by accident. When in doubt, ask the produce people at the store—they can help you find the right kind. Your pumpkin should be at least five pounds, or about the size of your own head. If you can only find smaller ones, get two. Short story: Dylan went to the grocery store to pick up a pumpkin for me. She told me they only had “small” ones. I told her I didn’t know what she meant by “small”—like, tabletop gourds, or just like, regular small? She said, “They’re the size of a baby’s head. An infant’s head.” I told her to get two. The end. The key is this: Judge pumpkin size according to the head scale: Adult head, get one. Baby head, get two. 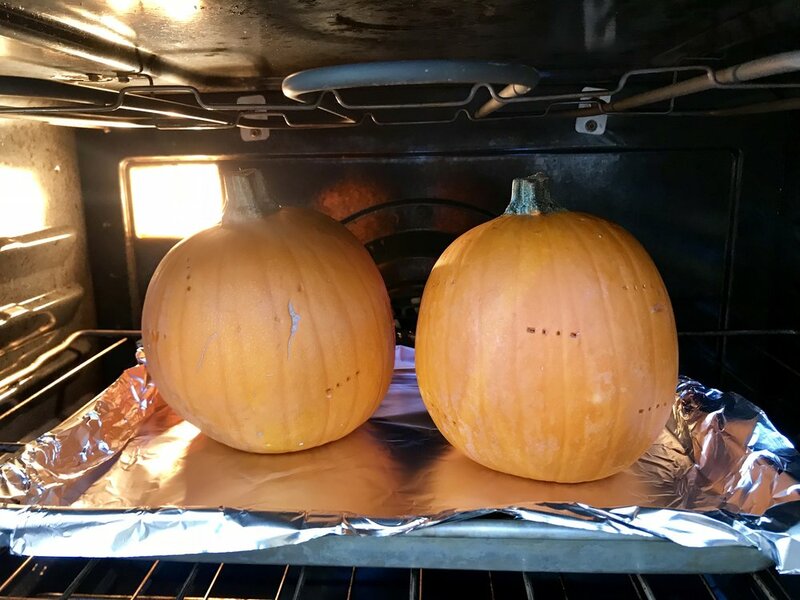 Poke a few holes in the pumpkin(s) with a knife or fork to allow for ventilation. 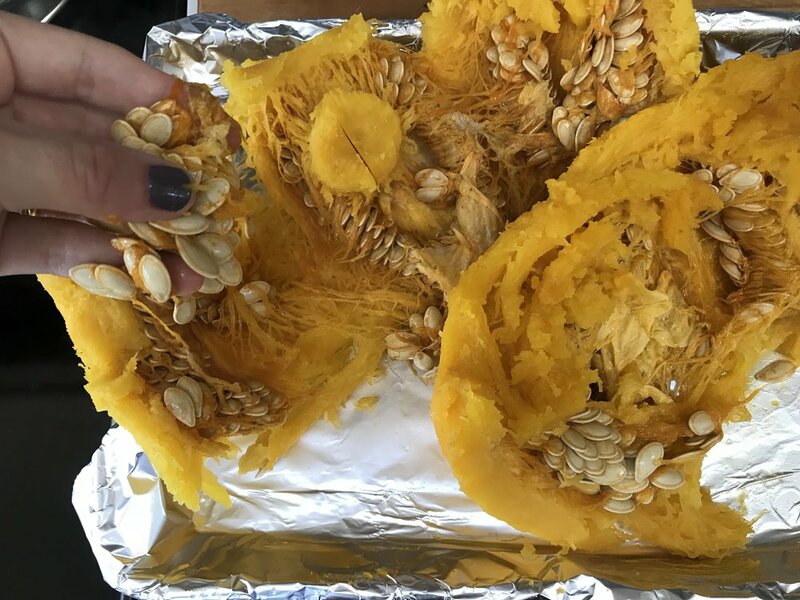 Roast the whole pumpkin(s) on a glass pie dish or a foil-lined sheet pan at 350 °F for about one hour, or until you can easily poke a fork into the flesh. In a large soup pot (you’ll be adding all the stock and pumpkin to it later), melt the butter on medium heat, and add onions, leek, and garlic. Sauté until soft, but not brown. Turn off the heat and let it sit while the pumpkin finishes cooking. 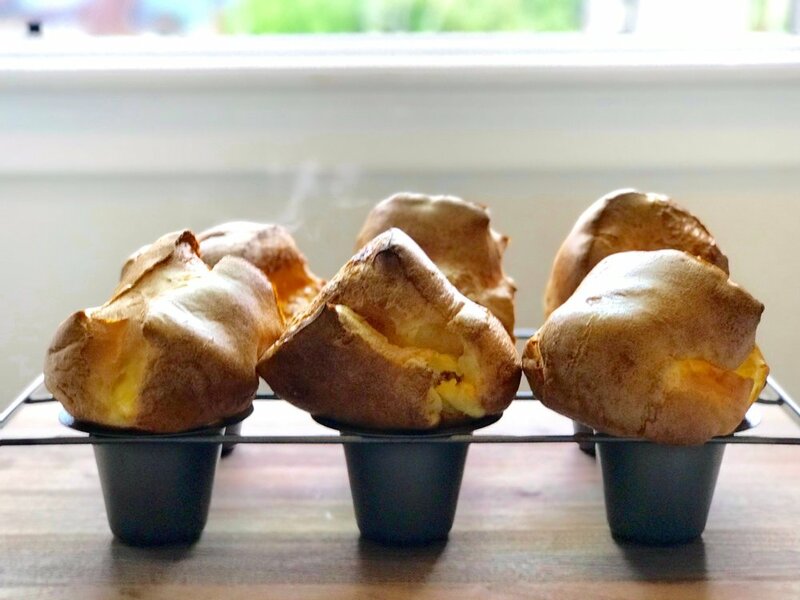 You’ll want to let them chill for a minute—it’s hard to get the skin off when they’re blazing hot. The skin should peel right off. Cut in half and scoop seeds and strings out of the pumpkin. (This is messy—wear an apron.) Reserve the flesh. Bring to a boil, then reduce heat and simmer with the lid on for 30 minutes. Turn off the heat and use an immersion blender to blitz everything until smooth. No immersion blender? Let everything cool off, and purée in small batches in a food processor, then return the liquid to the pot. Bring the puréed ingredients back to a boil, then reduce heat and simmer with the lid on for 30 minutes. Add more chicken stock (or water, if you’re out of stock) if the soup is too thick. 8. 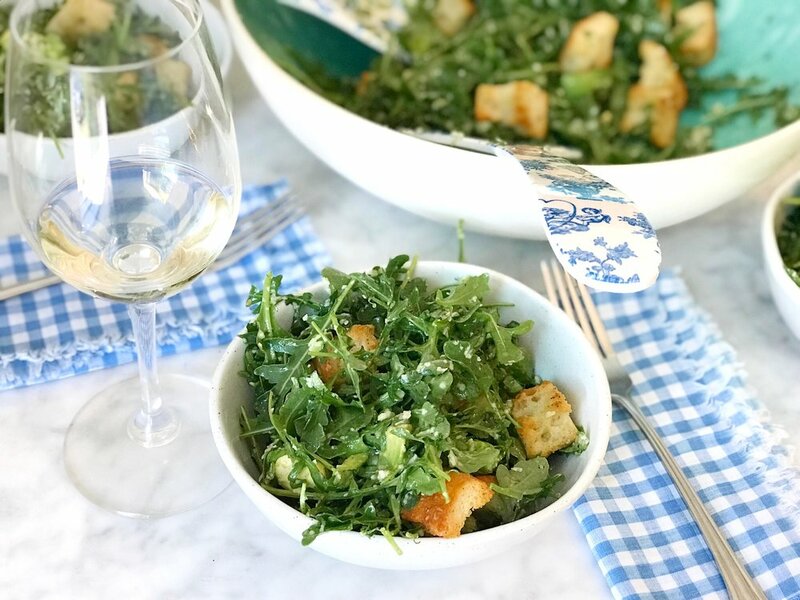 Garnish with roasted pepitas or homemade croutons; serve! I like to drizzle a little olive oil on top as well. Croutons: Cut some bread into cubes. Drizzle all over with olive oil, and season generously with salt and freshly ground pepper. Toss. 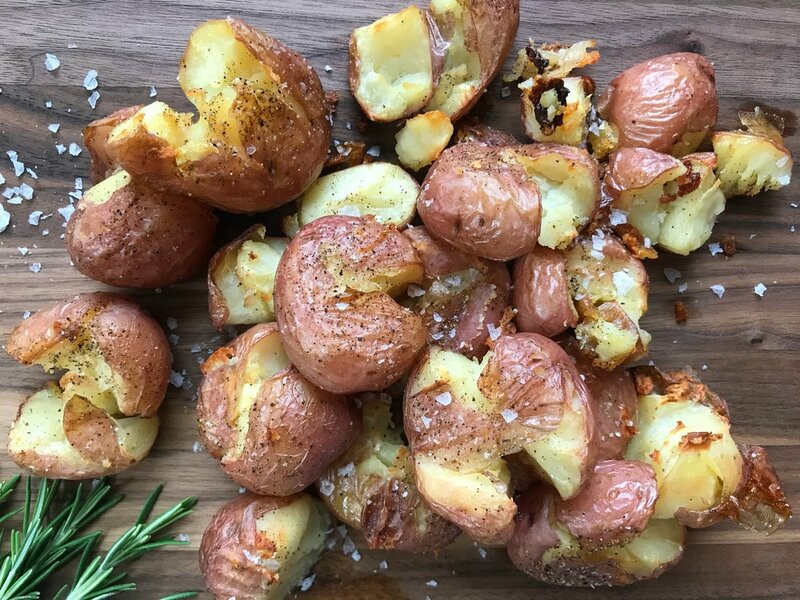 Roast in a 350 °F oven for 10–20 minutes, or until golden-brown and crunchy. Roasted pepitas: Throw some raw pumpkin seeds on a sheet pan and toss with olive oil and salt. Roast in a 350 °F oven for 40–60 minutes, or until golden-brown. Let them cool until they’re nice and crispy. What does “real-deal maple syrup” mean? We’re from New England. We believe that maple syrup should come from actual maple trees, not corn. Buy the real stuff. It tastes better, and you’re a grownup. Fine. Should I buy A-grade or B-grade, or what? Doesn’t matter. The different grades signify both color and flavor, and you can get real geeked out about it, but any kind of syrup—as long as it’s real syrup—will work in this recipe. Here’s a cool podcast if you want to learn more! I’m vegan/lactose intolerant. Can I swap out the dairy and chicken stock? Yes! Use a tablespoon of olive oil instead of butter, and vegetable instead of chicken stock. We think coconut milk would sub well for the whipping cream—you’ll end up with a sweeter soup, which sounds kind of amazing, and you could even add some curry powder to go full Indian-inspired. Yum! I can’t find a leek! Halp! Just sub in another white onion. No biggie. Should I do anything with these pumpkin seeds? Sure! You can roast them using the instructions above. But I’ll be honest: Separating them from all that stringy gore can be kind of annoying, so I usually just compost them. I like the green pumpkin seeds better, and I always have those stocked in my pantry. Should I buy an immersion blender? 100% yes. If you like making soups and purees, an immersion blender is a very solid investment.